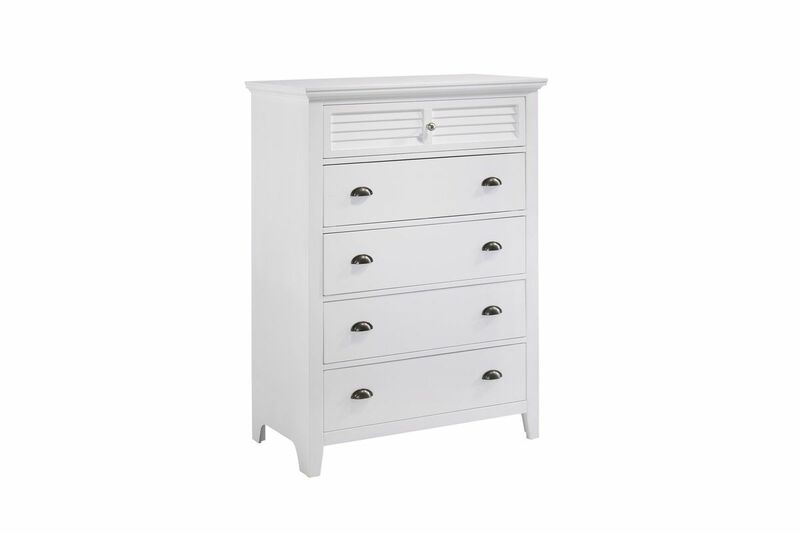 The Harbor chest has a casual contemporary style with a beautiful white finish. Louvered panel details and a combination of brushed nickel knobs and pulls add interesting design details. Constructed with solid tropical wood construction with veneers. Each piece is made from Mortise & Tenon joints and has kenlin metal glide systems. Features five drawers for ample storage space.